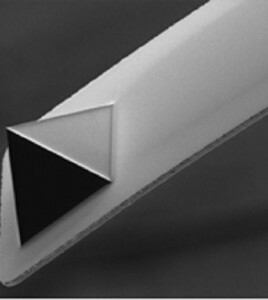 Mechanical Properties: Equivalent to natural diamond in hardness, Young’s modulus, fracture toughness and strength. Tribological Properties: Smooth UNCD exhibits friction coefficients as low as 0.03 in air. 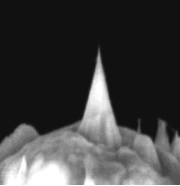 Transport Properties: Some of UNCD films exhibit some of the highest conductivity reported for a phase-pure diamond film and are more conductive than any doped crystalline diamond film or diamond-like carbon film. 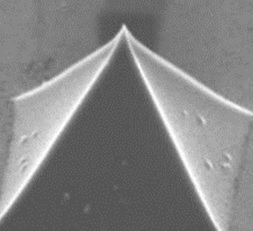 Electron Field Emission Properties: UNCD films consistently exhibit very low threshold fields for field electron emission. 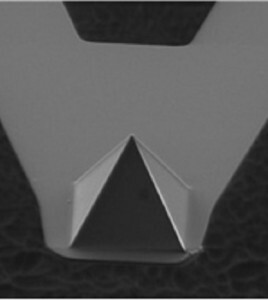 Emission currents as high as 100 µA from a single UNCD-coated silicon micro-tip have been observed. 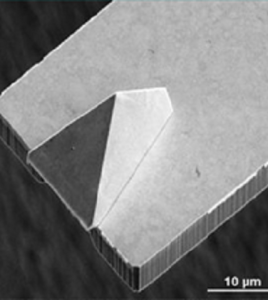 Emission currents as high as 1 mA have been achieved from conformally-coated arrays of silicon microtips. 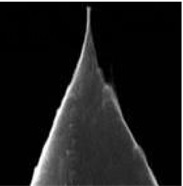 NaDiaProbes have been used for different type of applications ranging from imaging to nanoindentation. 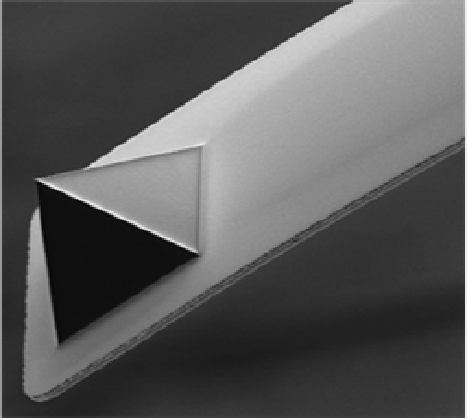 NadiaProbes are designed to fit most commercial AFM instruments.